OH DEAR GOD, what have I done? Why the hell was I out ’til 4 in the morning last night? Why on earth did I drink so damn much? Ergggghhhhh. Does this sound familiar to you? I guess from time to time it happens to the best of us and when it does, you’re gonna want to fix that hangover as soon as humanly possible. 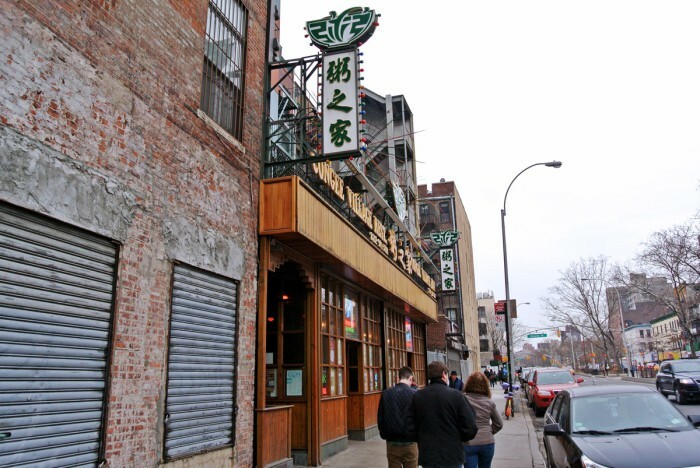 For me, it’s become a bit of a hangover tradition to come to Congee Village for that awful New Years Day hangover. 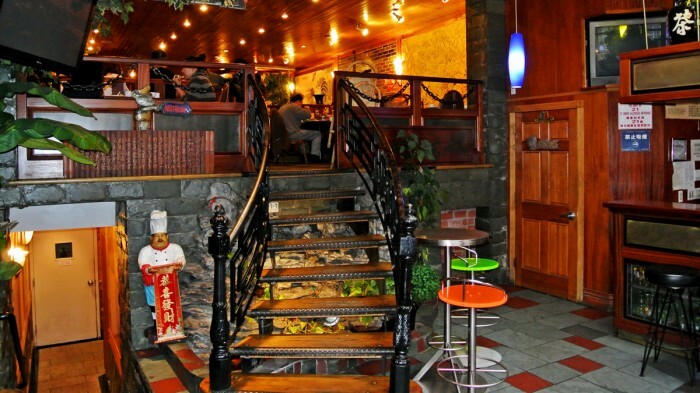 I almost always head there for a soothing and healing meal but New Years is certainly not the only excuse I need to go. 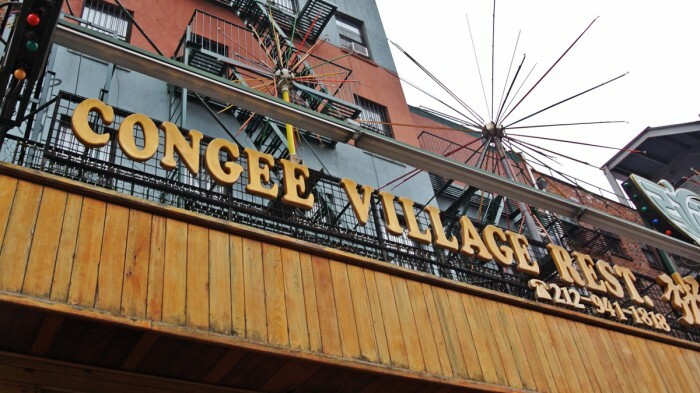 Congee Village is located on a dingy strip of Allen Street precariously situated between the Lower East Side, Chinatown, and the Bowery and is literally right next to the old Jewish Tenements. Their massive glowing signage is hard to miss and beckons me inside every time I pass by. 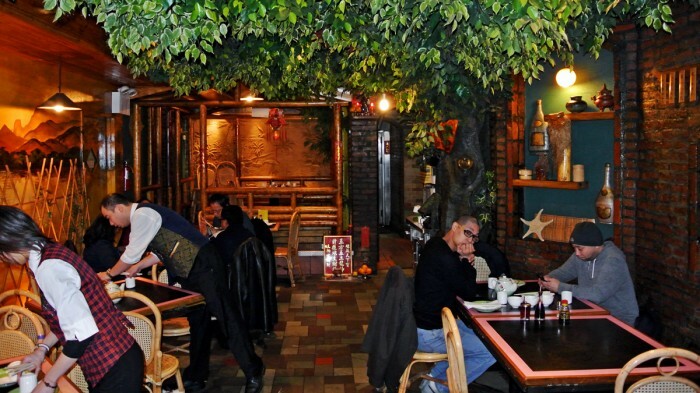 The decor inside always transports me straight from the New York streets to the China jungle because it looks like an outdoor bamboo-lined courtyard with trees and other types of foliage filling the space and covering the ceiling. 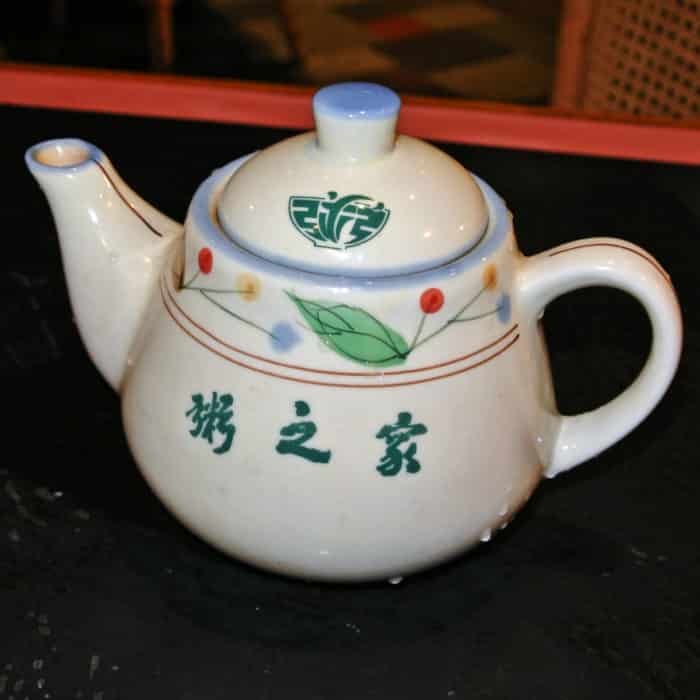 Once you’re seated, you’ll be presented a pot of hot tea. This is Step One to my hangover recovery plan. Drink this hot, unsweetened black tea up and sweat out those toxins. Step Two, get an order of Pan Fried Dry Shrimp Rice Noodles. This step is all about getting that grease and starch your body needs. At only $2.95, this massive platter is an absolute steal. 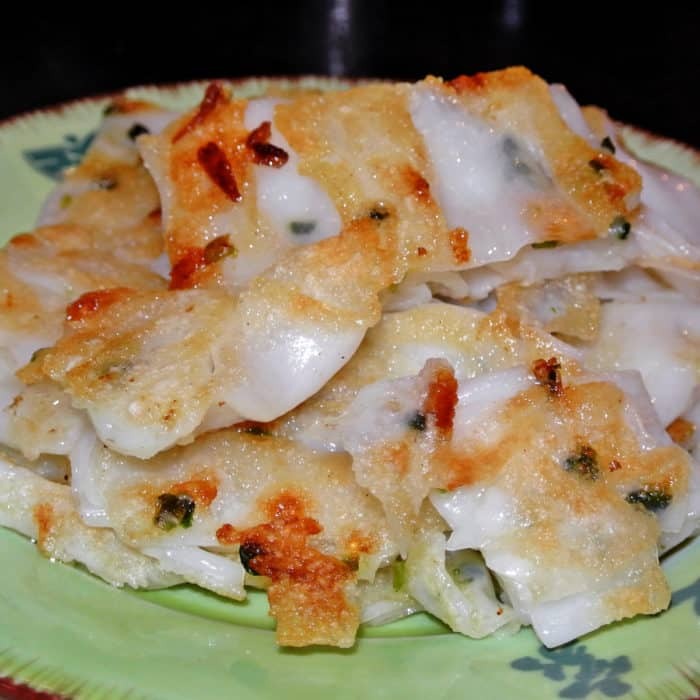 The floppy, folded rice noodles are layered with chives and teeny tiny bits of dried shrimp. Each cluster gets a wonderful crisp on one side adding nice crackly texture to each bite. I like to dip each bite into the provided hoisin sauce for an excellently noodley, crispy, slightly greasy bite. Finally, Step Three, get a bubbling hot pot of their Pork, Chicken, and Duck Congee. 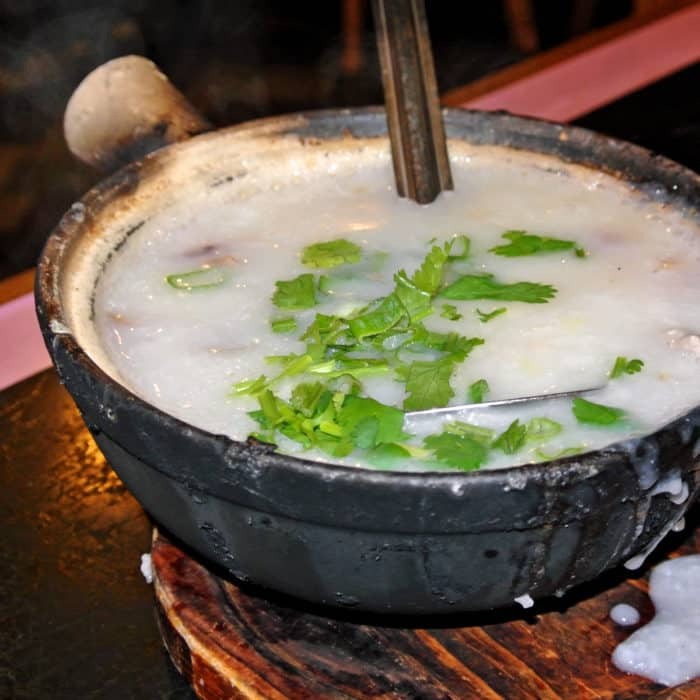 For those unfamiliar, congee is a type of rice porridge commonly eaten for breakfast in China. For me, this dish works perfectly to soothe and fill my booze-addled, aching belly. Flavored simply with thin-sliced ginger root and cilantro, this relatively tame concoction serves its purpose well. 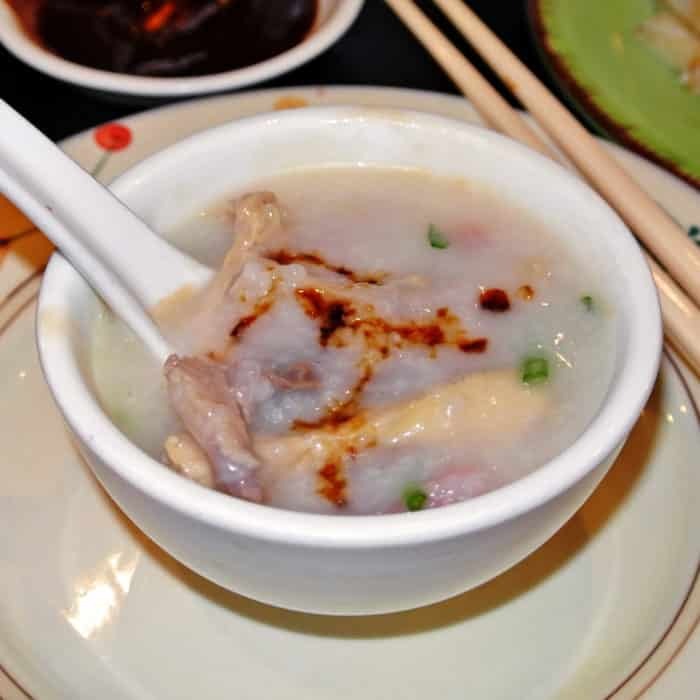 Sunk into this porridge you’ll find a very generous serving of tender pork, chicken, and duck meat which adds delicious, meaty flavor to this comforting dish. I like to also like to add a touch of soy sauce to my bowl for a punch of saltiness that helps bring all of the flavors together. So there you have it. This is my Perfect Chinatown Hangover Cure™ and you can have it all at Congee Village for under ten bucks! The flavors are all fairly mild, but let’s be honest, anything more challenging to your palette probably would be a challenge to keep down when you’re in such bad shape. Got another hangover cure in NYC I need to check out? Let me know in the comments below.